Wear this alluring tunic top blouse that comes in beautiful hues and move in style this season that belongs to Fashionistas. 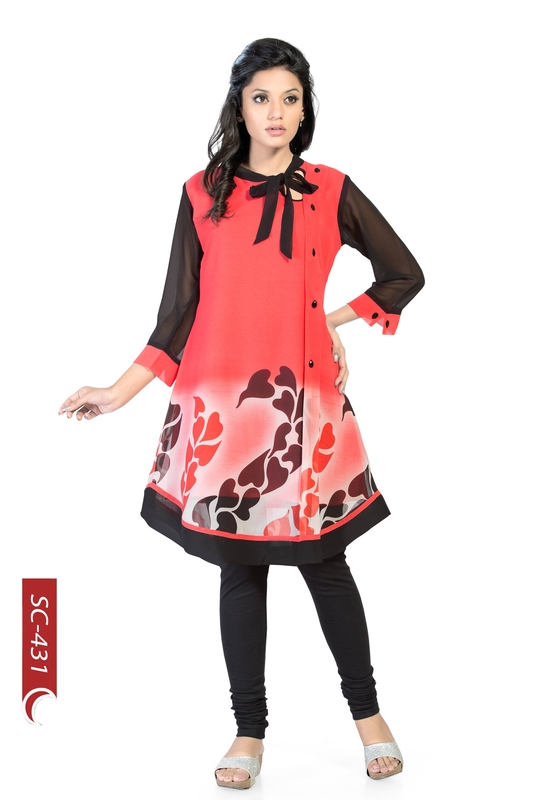 The tunic top carries an A-silhouette, which means it is an excellent fit for you dear ladies. Additionally, the digital print design adds the much needed zing. 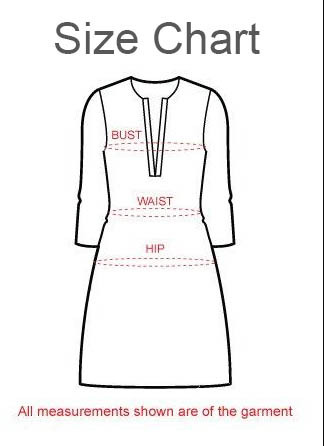 The boat neck of the tunic blouse comes with a designer twist and is supported by a knot at one side. A pleated side panel is well placed at one side and carries buttoned embellishments like does the boat neck. The sleeves provide adequate contrast in black and are styled to be of long-length. Team up with something in black and get set to rock the day.